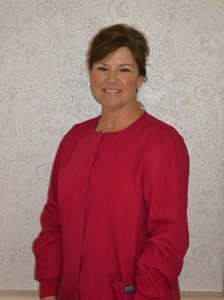 Liz is also a dental hygienist with over 20 years of hygiene experience. Most patients find her very gentle and sweet which keeps her very busy. She lives in West Chester with her husband. She is active in her church, plays bunco, and loves to travel.